5995 Dunbar Street, Vancouver - 6 beds, 4 baths - For Sale | Melissa Wu - Maxcel Westcoast Realty Ltd. ATTENTION BUILDERS AND INVESTORS! 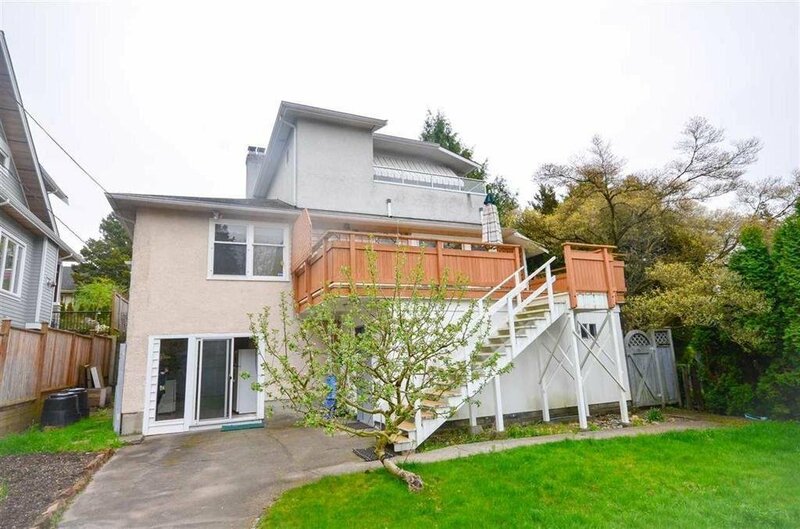 Sitting on beautifully landscaped 50×130 lot, Bright/Clean 3 lvl House over 3300 SF, 6 bdrm, 3.5 bath features a great floor plan with 2 bdrm on main, with liv, din & fam room / eating area, pantry, 1.5 bath, own laundry, & huge sun deck, Mbdrm on upper level with W-I-C, en-suite, privacy sundeck with view ideal for entertaining. Ground lvl has 3 bdrm suite, laundry, fully fenced yard. Fabulous location with easy access to shopping, golfing, parks/hiking trails & transit. Short dis to UBC, crofton house, Point Grey elem and St. George schools. Lease is up to July 2019 for $5300/mo. Don't miss the opportunity !! All size and ages are approx. buyer should verify if deemed important.